Nearly every reference to healthy eating will list fresh fruits and vegetables at the top of the must-eat list. That’s no surprise, considering that together, they can provide nearly every vitamin and mineral a body needs. 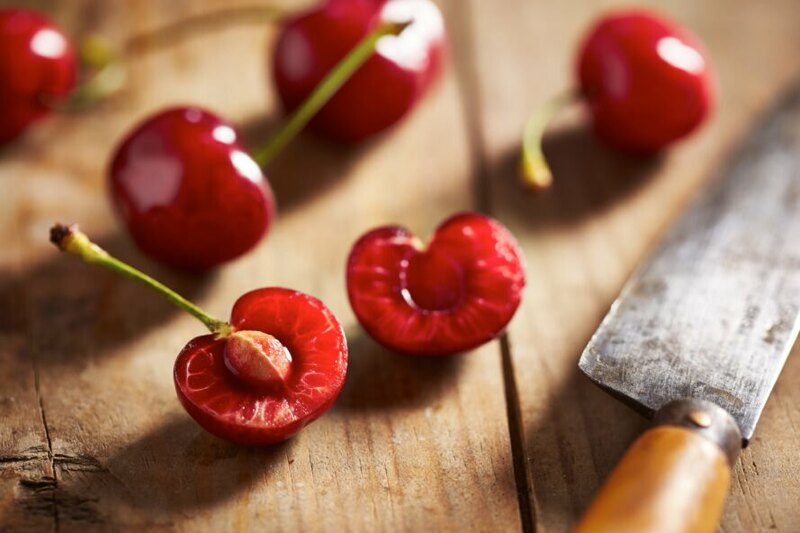 While some produce options can be gobbled up from the outer skin to the inner seed, there are parts of certain fruits and vegetables that contain dangerous substances. While most of these substances are not toxic in small doses, they can definitely make you sick, especially if you have any sort of compromised system, allergies or food sensitivities. Even the healthiest eater should be aware of the dangers that lurk in their food. Here’s a reference to the parts you should avoid in your favorite fruits and veggies. Before we get into specific types of fruits and vegetables, it’s important to mention the role organic growing practices have on food. That’s because conventional growing methods douse produce with pesticides, herbicides and insecticides. If you consume the edible skin on conventionally raised pears, apricots, grapes and carrots, you are allowing those chemicals directly into your system. It makes the case for buying certified organic products raised sans the toxins. At the very least, be sure to thoroughly wash your produce before eating. 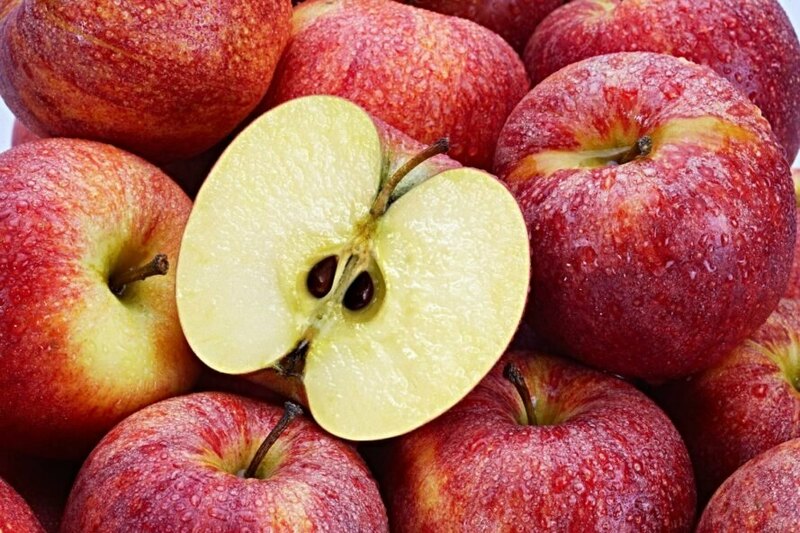 Full of all kinds of nutrients, an apple a day can indeed help keep the doctor away. But stop short of eating the entire apple, because the seeds contain the amygdalin molecule, which produces cyanide once ingested. In small doses, it will not cause serious illness. But take heed in the warning surrounding the word cyanide, or you may suffer a serious ache in the pit of your stomach. Speaking of pits, toss the center of cherries, apricots, peaches, plums and apricots. They contain the same organic cyanide components as apple seeds. Even though they aren’t likely to send you to the emergency room, it’s best to avoid aggravating your system. This one might surprise you, because nuts aren’t typically listed under the category of fruits or vegetables. That’s because almonds and cashews are not actually nuts, but rather seeds. While seeds offer lots of yummy benefits, these two varieties also contain cyanide — but only in their raw form. 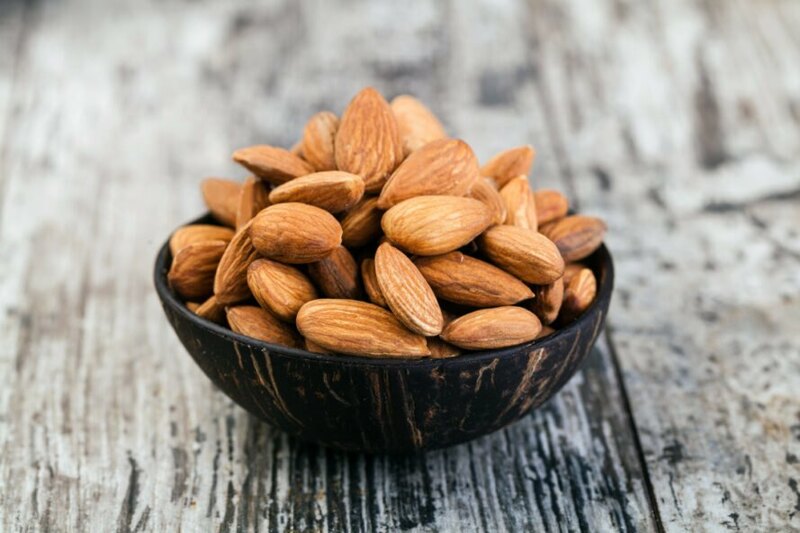 Now don’t be too alarmed, because it is illegal to sell truly raw almonds in the U.S. Even those packaged and clearly labeled as raw have been steamed or cooked another way. They’ve all been through the pasteurization process, too, after a salmonella outbreak a few years ago was trailed back to the fruit. All parts of lemons and limes can be consumed, and they offer many health benefits. However, if you have a condition that recommends against ingesting seeds, you will want to avoid these citrus seeds. They can be hard to digest. 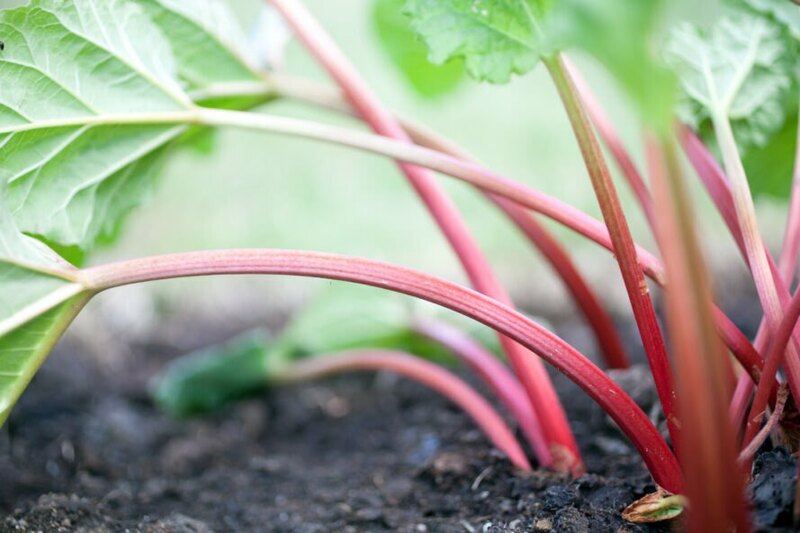 Hear the word rhubarb and you likely think of the sweet pie served across the country. But see rhubarb on the plant, and you might be surprised to see a fleshy pink to lime green, celery-shaped stalk. The taste of raw rhubarb is extremely tart and favored by few. As unappealing as the stalks might be, the leaves are actually quite poisonous. The leafy green portion contains dangerously high levels of oxalic acid, which can cause serious kidney damage and even death. While it does take high quantities to cause this severity of illness, even a small amount can make you feel sick. 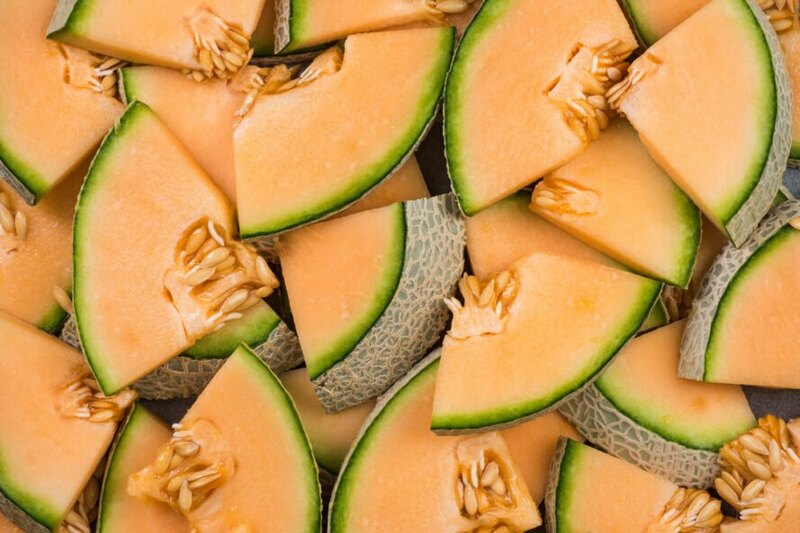 While you can power right through the skin of many fruits, the outer rind of cantaloupe should be avoided. 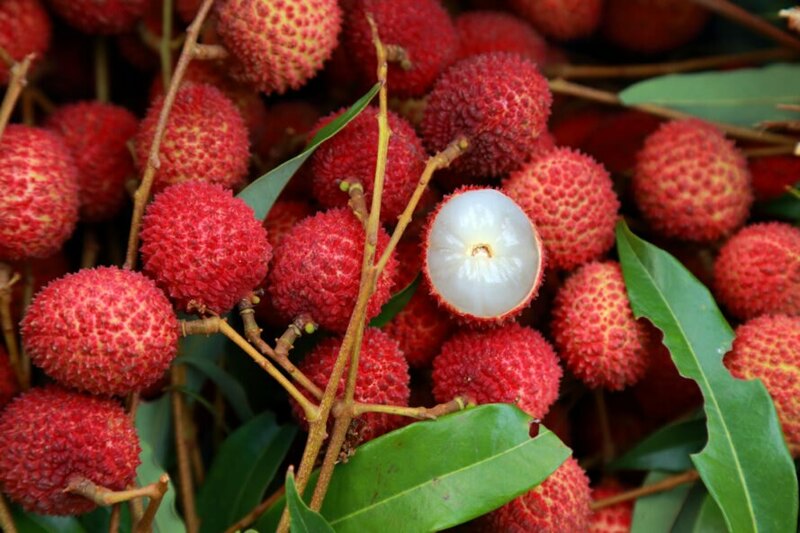 That’s because it is extremely susceptible to mold, which can make you quite ill.
Lychee can be a spectacularly sweet treat. But if eaten while unripe, it can cause fever, convulsions and seizures, especially in individuals who are malnourished or have eaten it on a completely empty stomach. The unripe fruit appears to lower blood sugar, which can cause hypoglycemia. Ackee contains the same poison as lychee and is always cooked before consumption. 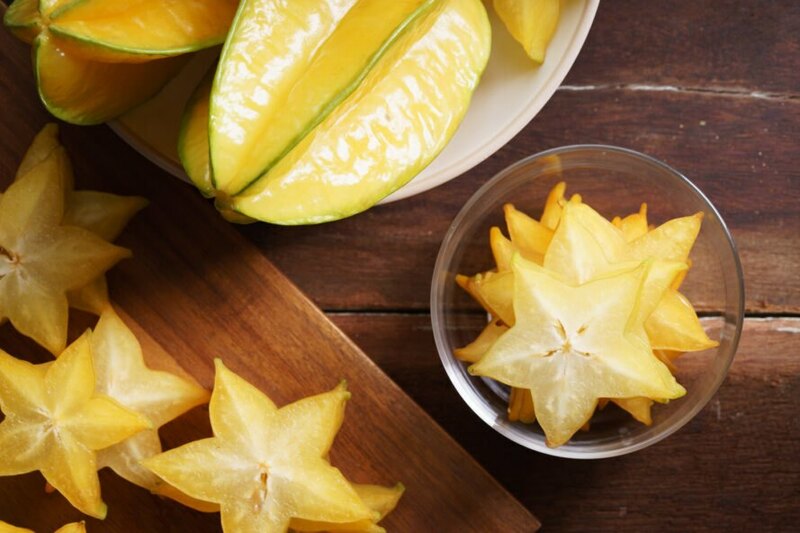 Although mostly safe for healthy individuals, starfruit can be fatal if you have any sort of kidney condition. Without proper kidney function, the toxins in starfruit can affect the brain and cause neurological issues. Early signs of a reaction to starfruit include hiccups, confusion and seizures. Asparagus is a healthy vegetable known for its firm, green stalk. 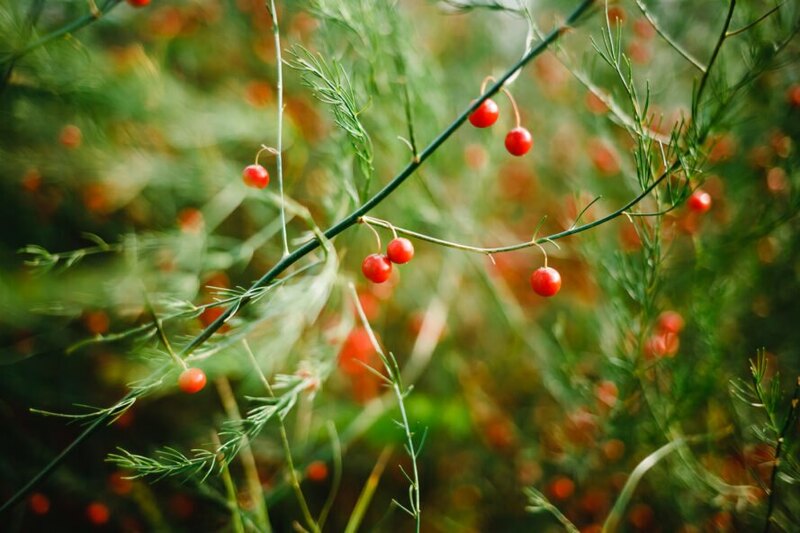 The plant also produces enticing red berries that are toxic and can cause vomiting and diarrhea, even in small doses. 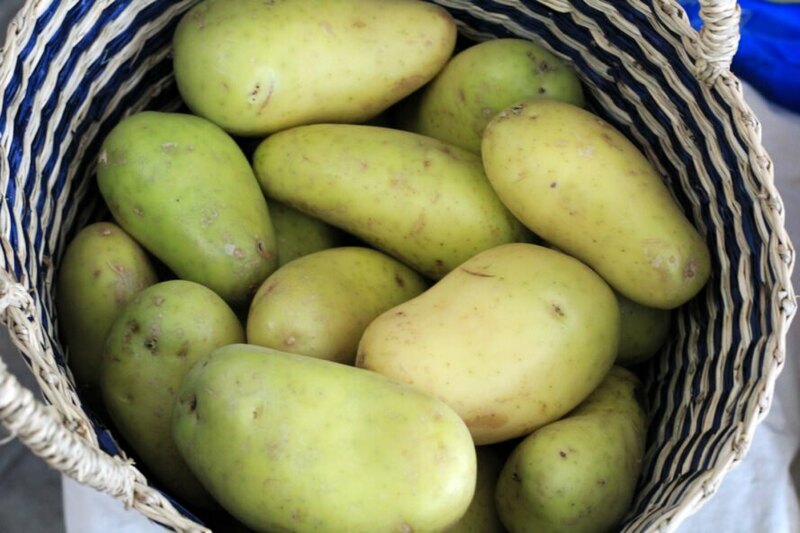 Potatoes have the potential to develop a green color just under the surface of the skin when exposed to light. This green color is an indication that it has produced too much solanine, a natural glycoalkaloid, that can cause headaches, nausea, fatigue and intestinal issues. Store your potatoes in a cool, dark place, and avoid consuming green areas that develop. 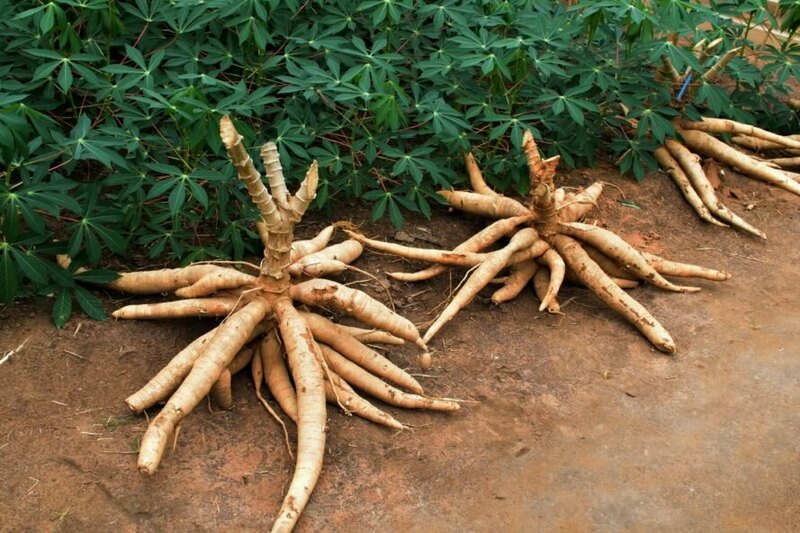 Cassava is ubiquitous in many parts of the world. Those who consume it regularly are acutely aware that it must first be dried, soaked and cooked properly, as consuming the raw form can result in serious health conditions. With these exceptions in mind, remember that fruits and vegetables are the best foods you can source for your body. Be informed about potential risks, and then enjoy the bounty provided by nature. Fruits and vegetables are important to our health, but some can be toxic. 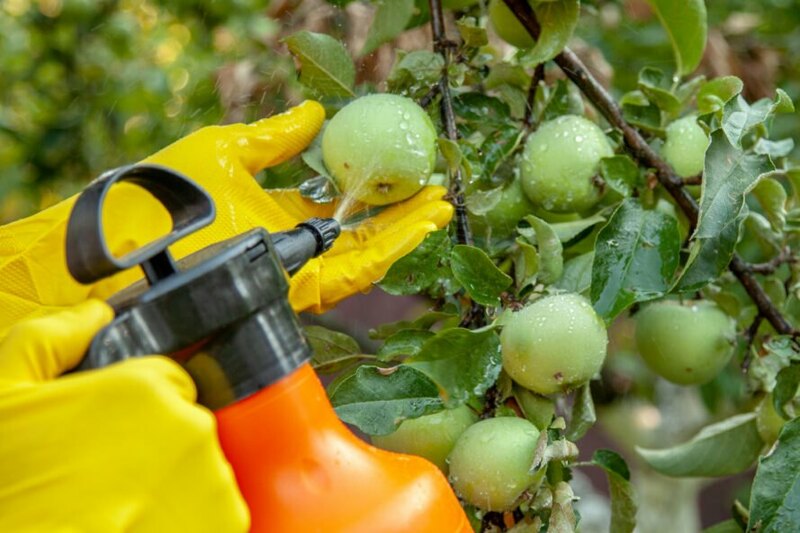 Non-organic produce may have residue from harmful pesticides, herbicides and insecticides. Apple seeds contain the amygdlain molecule, which produces cyanide once ingested. The pits of stone fruits can aggravate the body in the same way apple seeds do. Raw almonds and cashews are another toxic food, but it is illegal to sell these nuts truly raw in the U.S. 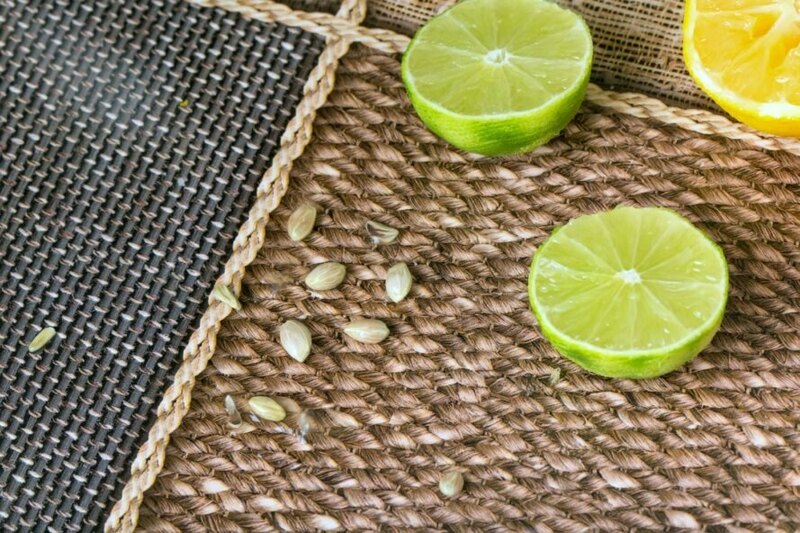 Lemon and lime seeds can be hard on the digestive system. Rhubarb leaves are poisonous; even small amounts can make you sick. Cantaloupe skin should be avoided. Unripe lychee and uncooked ackee are dangerous to your health. Starfruit can be fatal for those who have kidney conditions. While asparagus is delicious and healthy, the berries the plant also produces are toxic. Avoid consuming potatoes that have taken on a green hue. Cassava must be handled and cooked properly before eating.